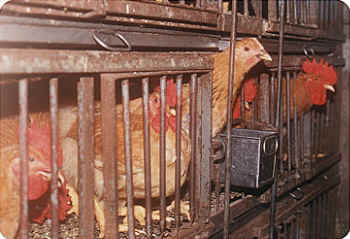 Live poultry markets may be a "tradition," but they are not an enlightened one. To defend cruelty as sacrosanct, because we've been doing it for hundreds or thousands of years, is ignorant and denies our ability to improve on our past. When you find media painting these putrid establishments, filled with the cries of suffering birds, in a picturesque light, write a protest letter to the editor or program director. Let local health officials know you do not want a slaughterhouse in your neighborhood. Leaflet in front of live poultry markets and educate people about the ugly reality of poultry slaughter with its attendant filth, cruelty, and disease. Check your farmers' markets to be sure live animals aren't being sold. Support your local vegetarian society or start your own group emphasizing delicious home style, ethnic, and exotic all-vegetarian cuisine. 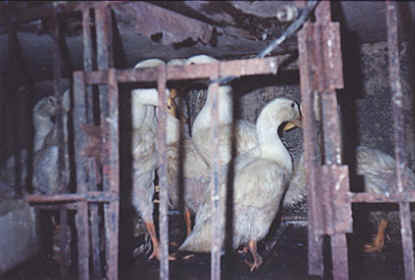 Live poultry markets are storefront slaughterhouses in which chickens, turkeys, ducks, peacocks, chukars (partridges), quails, guinea fowl, pigeons, and pheasants are forced to sit for hours and days in filthy cages awaiting slaughter in a bloody back room. Live-bird markets are similar to live-bird auctions; however; an auction comprises birds assembled from various other locations specifically for further sale, rather than for on-site killing. Dealers regularly round up "spent" fowl -- birds who have outlived their profitability as breeders and layers--from a variety of sources: live animal auctions, other live poultry markets, "free-range" and backyard operations, flea markets, game bird farms, etc. The markets buy these birds. Birds in New York City markets come mainly from Pennsylvania, New Jersey, and New England. They are trucked from one spot to another often traveling hundreds of miles across state lines without water or food in all kinds of weather. 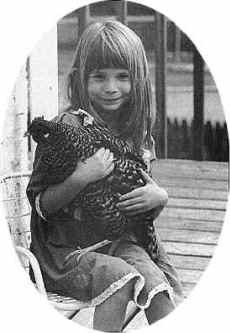 In 1993 for example, chickens found to be infected with avian influenza at a Philadelphia live-bird market had reportedly been supplied by a dealer from New Jersey who said he bought them at an auction in Manheim, PA. 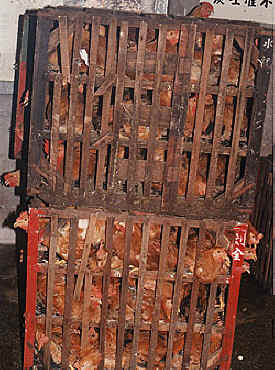 The birds, many of them injured, sick, and malnourished, are roughly grabbed from the transport cages and stuffed into market cages stacked in tiers often on wheeled carts. The encrusted cages, filthy food trays, and dirty water containers are cleaned at most once a week. Some markets keep the birds stuffed in the transport cages, the severe overcrowding relieved as the birds' cage mates are killed. When a bird is picked out by a customer to be killed, the bird is weighed dangling head down, then carried to the kill room, or the bird may be killed directly in front of, or even by the customer. The bird's jugular vein(s) or carotid arteries are sliced with a knife, or the bird is decapitated. The living birds are hung upside down to bleed and are then thrown dead or alive into a scald-water tank to loosen their feathers. Stuffed inside paper or plastic bags to customers who can then keep them and kill them in any conceivable manner including letting children kill them. Many families (and markets) cruelly puncture a bird's throat and let the blood drain out slowly. Federal or state inspectors visit a market 4 or 5 times a year at most. State anti-cruelty laws are loosely interpreted or not enforced. In San Francisco, markets cited by the Dept of Animal Care & Control have not been prosecuted by the District Attorney. Budget cuts eliminate monitoring so that even minimal guidelines are ignored. The CA Dept of Food & Agriculture actually invited the Chinese Benevolent Association to apply for an exemption to the state's Humane Slaughter of Poultry regulations. As a conclusion to their whole sad and miserable life, many birds from live poultry markets end up being tortured and killed in voodoo ceremonies. (Santeria is a version of voodoo.) In Miami, Florida the dead bodies of many of these birds are thrown outside the courthouse by voodoo practitioners seeking "justice" and vengeance. A live poultry market worker in Harlem told The New York Times (Dec. 1, 1994), "There's voodoo people. The just take them live. We don't ask them questions."